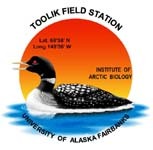 » Plant available NH4, NO3, and PO4 was determined at three site (LTER Toolik acidic and nonacidic tundra and Sagwon acidic tundra) and three community combinations (tussock, watertrack, and snowbed) Arctic LTER 1997. Six cores ('car exhaust pipe', 5.20cm diameter) were taken at each site/community combination in June, July, and August. Cores from the tussock communities were taken in moss dominated intertussock spaces. Cores from the Toolik acidic and nonacidic tundra were taken near the corresponding LTER plots. Sagwon is approximately 70 miles north of the Toolik Field Station along the Dalton Highway. Cores were separated into organic (O) and mineral horizons (B), with corresponding lengths recorded directly from the core hole. For NH4-N and NO3-N extractions 100mls of 2N KCl was added to approximately 20g wet set homogenized soil. A 0.025N HCl solution was used to access plant available PO4-P, and a 1N HCl solution was used to access acid digestible PO4-P. KCl extracts were shaken for 2 hours, weak HCl extracts for 5 minutes, and strong HCl extracts overnight. All extracts were immediately filtered through Whatman No. 42 filter paper. PO4-P and NH4-N extractions were hand run on a spectrophotometer (following LTER protocol) using an 5 or 1cm cell. NO3-N extractions were frozen and run on an autoanalyzer following LTER protocol in the fall at Woods Hole, MA. July cores were analyzied for soil pH. Subsampled soil was shaken for 10 minutes with .01M CaCl2 (5g soil:25mL CaCl2) and analyzed on an Orion SA 250 pH meter. For the June and bulk of July extraction (see 'core location' column in 'raw data' worksheet for exceptions), cores were taken to bottom of thaw depth. For the August extraction, depth of thaw exceeded core length in all cases. The B horizons as noted in the worksheets are not necessary B horizons in the soil science sense. The term as used here is meant to only distinguish mineral from organic cores. Some B horizons are A or C horizons. Cores 7-10 in the tussock communities in the august extraction are tussock cores. The 1N HCl extraction was only done in August. pH was only done in July. Echooka and May Creek are alkaline cold springs. Source cores at Echooka come from the source of the spring and poplar cores come from a poplar stand near the source. These were only done in August. pH analysis was done on these cores in August. Reference Citations: Gough, L., G.R. Shaver, J. Carroll, D.L. Royer and J.A. Laundre. 2000. Vascular plant species richness in Alaskan arctic tundra: the importance of soil pH. Journal of Ecology 88:54-66. Hobbie, S.E. and L. Gough. 2002. Foliar and soil nutrients in tundra on glacial landscapes of contrasting ages in northern Alaska. Oecologia 131(3):453-462. Version 7: Replaced blank cells with "#N/A". CH 24 Jan 2013 Updated to newer metadata with site sheet. CH March 2013. Definition: um /l KCl blank correction for NH4 concentration. Definition: um /l KCl blank correction for NO3 concentration. Definition: um /l HCl blank correction for weak PO4 concentration. Definition: um /l HCl blank correction for strong PO4 concentration.